In broadest terms, my work focuses on the literary, theoretical, and political writing of the long nineteenth century —an extended duration I understand to include the present. I'm also interested in visual culture, ecocriticism, and postcolonial studies. I'm most concerned most with how literary forms respond to and often contest the ongoing intellectual and material crises of the modernity we continue to inhabit. I describe specific projects in more detail below. Thanks for checking out the site. 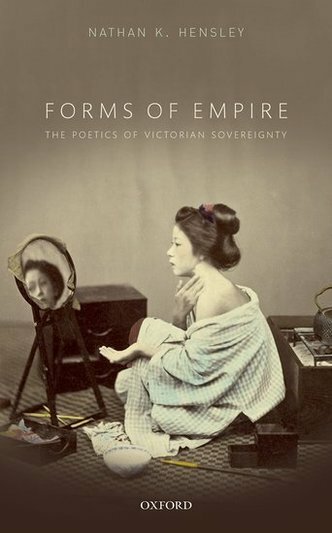 My first book, Forms of Empire: The Poetics of Victorian Sovereignty (Oxford UP, 2016; paperback 2018), explores how Victorian writers expanded the capacities of literary form to account for the ongoing violence of liberal modernity. No single year of Victoria's reign, 1837-1901, was without at least one imperial war. Taking the permanent war of the Pax Victoriana as a starting point, this study argues that coming to terms with the seeming paradoxes of liberal violence spurred nineteenth-century writers to generate new modes of literary representation, formal innovations able to account for the fact that their modern liberal society had the threat of death coiled at its very heart. More information about the book is available at the OUP site; you can buy it there (email me if you want a discount code!) or via Amazon, Powells, and other sites. Articles relating to this project have appeared in Victorian Studies and Novel: A Forum on Fiction, as "Armadale and the Logic of Liberalism" [here], "Allegories of the Contemporary" [here], and "Curatorial Reading and Endless War" [here]. An essay tracking some of the consequences for this argument in the U.S. context appeared in the Los Angeles Review of Books, as "Our Ghosts: On Internment in Fresno" [here]. And an outtake from the book's conclusion appeared, in revised and expanded form, as "Drone Form: Word and Image at the End of Empire," in e-flux journal [here], and then in expanded and fairly different form in Novel: A Forum on Fiction [here]. 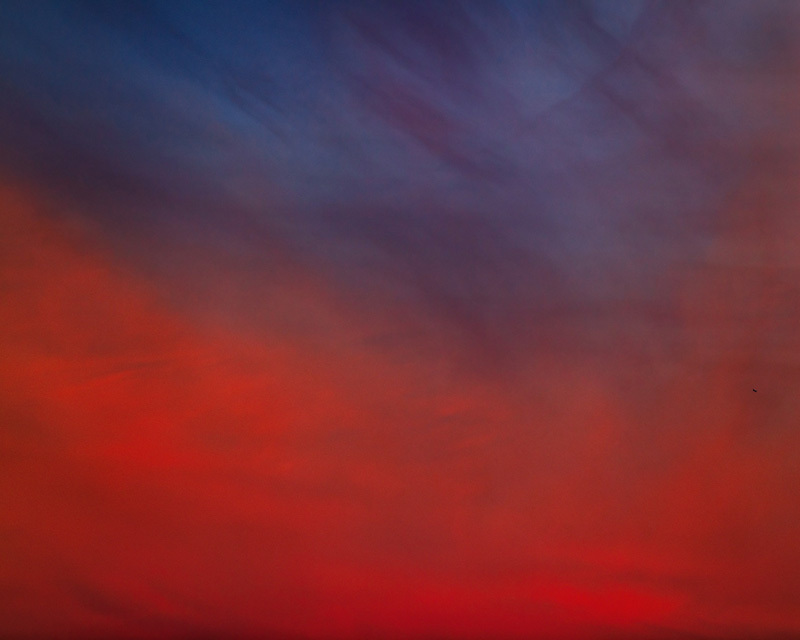 Trevor Paglen, Untitled (Reaper Drone) (2010). C-print. With Philip Steer (Massey University, NZ), I coedited a collection of essays that links human and natural scales of disaster in the nineteenth century and after. Published by Fordham UP in late 2018 (listed as 2019), the collection aims to show how Victorian thinking about empire and ecology can help us understand the often violent processes by which human beings were—and continue to be—incorporated into massive systems seemingly beyond their direct control. A second book project, now in its early stages, builds on the arguments tested in Ecological Form and puts literary reading methods in dialogue with Victorian and contemporary thinking about ecological networks. Its aim is to show how the nineteenth century used literary forms to imagine systemic configurations so massive, distributed, and complex that they seemed to threaten the possibility of individual action -- and how certain thinkers, in spite of these entangled and often entropic structures, nevertheless conceived the possibility of change. In addition to my main research projects, I continue to think through an as-yet amorphous project on the history of what I'm calling anti-critical discourse, from around 1980 to the present. This work is only in a nascent phase, and to date I've focused on the infamous "implosion" of the Duke English Department, c. 1998. More information, and links to interviews with Stanley Fish and others, are available here. Lingua Franca editors chose a deflating balloon to represent the Duke English Department in the late '90s. In partnership with my colleague Brian Hochman, I founded and directed the Modernities Working Group, an interdisciplinary assemblage of scholars, artists, and students from the mid-Atlantic region that ran from 2012-2016 and traced the problem of "modernity" across aesthetic, political, and social registers.